Past students are given the opportunity to show their support for the quality of St Brigid’s College education of young women and men, to strengthen ties between St Brigid’s College alumnae and to socialize with former school friends and other interesting people. Ex-students can actively contribute to the richness of the College by becoming involved in mentoring programmes, visiting the College as guest speakers and generally to support and participate in College functions. The alumnae encourage all past students to support and deepen the friendships and sense of community that St Brigid’s alumnae establish as students. Past students wanting further details about reunions or any other aspect of the School should contact the Director of Community Relations on 9290 4205 or email communityrelations@stbrigids.wa.edu.au. 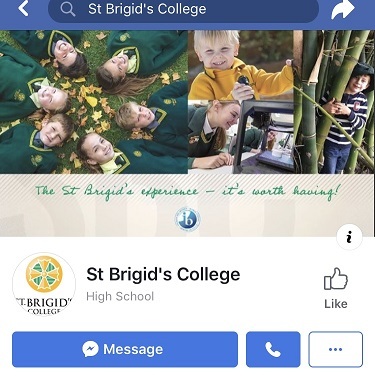 St Brigid’s College encourage past students to reconnect with the college by hosting reunions on a regular basis. Representatives from each Year group are needed to assist us with the planning and preparation of each reunion. Please contact Annamaria Cream in the Community Relations Office on 9290 4205 if you can assist. Invitations to each reunion will be sent out approximately 6 weeks prior to the event. If you have changed your address, please let us know via the form below. We also have numerous old girls without current addresses so please pass the reunion news on to your classmates. We encourage Old Girls of the College to take an active interest in the welfare of St Brigid’s. Over the years, the generosity of a number of Old Girls and their families has been instrumental in both the financing of numerous building and development projects such as additions to the music facilities as well as the provision of a number of scholarships and bursaries. The close ties Old Girls have with one another and St Brigid’s are reflected in their participation in and support of many of the College’s activities. Old Girls return to teach at the College, assist with coaching sporting teams, as tutors, guest speakers and as guests at many of the functions held each year. Update your details via the form below.